The Domaining Europe conference began in Valencia, Spain almost a decade ago and the first seven shows in the annual series were staged at the Hotel Sorolla Palace there. 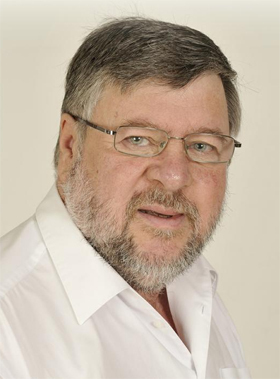 In 2016 conference founder Dietmar Stefitz decided to take the show on the road, staging that year's event in The Hague, Netherlands, followed by the 2017 show in Berlin, Germany this past May. With the 2018 conference marking the 10th anniversary of the popular event, Stefitz decided it was only fitting that the event go back to where it all began in Valencia. So, he has booked the Sorolla Palace and set the dates for June 7-9, 2018. Stefitz is determined to make the 10th anniversary show a special one so he has already started putting the agenda and speaker's line up together. He told me, "Braden Pollock is again coming over to Valencia from the United States to moderate the event. Also, we are planning an opening day Keynote address at 10am June 7 featuring pioneering domain investor and DomainMarket.com Founder Michael Mann with a talk titled Get a .com! Mann is also scheduled to participate on a panel discussion devoted to domain valuation." hand to give attendees an update on that sector. He also has an International Investor Roundtable in the works with participants from Asia, Latin America, Russia, the USA and Europe. 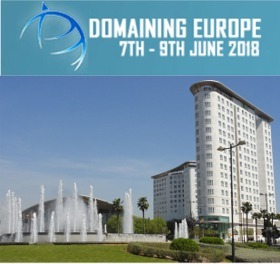 Registration hasn't opened yet but it is not to soon to block June 7-9 out on your 2018 calendar to join domain investors, executives and service providers from around the world for this landmark edition of Domaining Europe.